There are an estimated 450,000 boat owners in the UK and these include a huge variety of craft, from small sailing dinghies to ocean going yachts. The British Marine Federation also estimate that around 3 million people in the UK participate in water sports of one kind or another. This is our quick guide to joining them - a guide to buying a boat, boat finance and getting afloat. 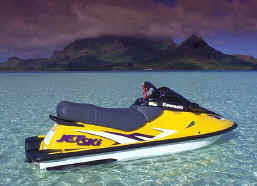 Jetskis, also known as personal watercraft, are the smallest powered craft for use in the sea or lakes. They are more like sea going motor bikes than boats and you ride on them rather than in them. They typically consist of a solid plastic body with one, two or three passenger seats on top of the body. Underneath the body is a powerful engine and a jet drive that gives them their names. Typical prices are - Solo jetski under £5000 - Twin seater £7000 - £8500 - Three seater £7000 - £10,000 Second hand around 5 years old - for around £300o depending on condition and engine. Windsurfers as the name suggests are essentially a surfboard with a sail attached. This clever invention allows the sailor far more freedom than surfers who have to follow the waves. Windsurfers can beat upwind more efficiently than most sailing boats but they can still ride the waves as well. Windsurfing is a relatively cheap way of getting afloat. A new board will cosy you between £800 - £1500 depending on the specification. Second hand boards can be had for as little as £200 - for a rather outdated board but which would be suitable for a beginner. There are a large number of dinghy types available in the UK - we estimate around 100 in total. They are all very similar in overall layout but the specification vary greatly. The most important question to ask when choosing a dinghy - is what do you want to do with it? Solo sailing or for a family? Cruising, racing or just messing about? Will it be towed or on a mooring? There are boats suitable for all purposes. As may be guessed from the above considerations there are a wide range of prices for such craft. At the lower end of the range is the tiny Oppi sailing boat which would be suitable for children to learn in which is priced at around £750. Next up the range would be something like the popular topper priced at around £2000 - £2500. A Laser dinghy, which claims to be the best selling family boat in the UK, is priced at £6000 - £6500. After that you could spend two or three times as much for an out and out racing craft capable of winning an Olympic gold medal! Powerboats come in a vast range of shapes and sizes from 15 foot ski boats to fishing boats with a small cabin to larger craft with excellent accommodation and capable of crossing oceans. As with any boat the all important question is - what will you use the boat for? Fishing trips? In-shore cruising? Water-skiing and watersports? A good second hand ski boat, such as a Fletcher, around 4 years old with a 85 hp engine, which is suitable for waterskiing would cost around £3000 - £4000. A new powerboat with a more powerful 135hp engine range from around £15,000 upwards. 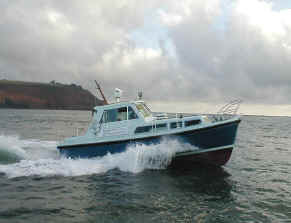 A second hand boat suitable for fishing trips in in-shore waters range from around £4000 upwards depending on the length of the boat, engine size and range of equipment. A new fishing boat of around 20 feet with a 90 hp are priced from around £15,000 upwards, depending on the boats specification. Second hand cabin cruisers can be bought for as little as £6000 but do check on the maintenance record of all older boats. It is far easier to change an engine than to have expensive hull repairs to do. New cabin cruisers are a much more expensive way of getting afloat! As a typical example this boat was recently advertised - 2005 sports cruiser, 4 berth, 25 feet, 190 hp engine for just under £60,000. See the Sunseeker website for some great looking boats. The good news is that you can get finance on these boats - see below. Again there is a very large range of sailboats available for the eager buyer but you will usually have to spend considerably more money to get afloat in one of these craft. Whereas there are ways of getting on the water that are relatively inexpensive when you consider larger craft the expenditure goes up considerable. For a start you need some where to keep the vessel such as a mooring or hard standing and that alone can cost many thousands of pounds. 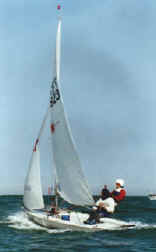 The main categories of larger sailboats are sailing cruiser, cruiser racer and motor sailers. A major consideration is the type of material used for the hull surprisingly there are more choices than you would expect. Hulls are manufactured of the following materials, each has its advantages and disadvantages; aluminium, carbon fibre, Ferro cement, GRP and steel. After this decision you need to consider sail formats and type and then huge array of other equipment options. As there are so many choices very often owners will decide on a specification and the boat will be built specifically built to their requirements. This option makes the vessel more expensive of course as they are no longer being mass produced. Prices for sailboats vary considerably and only rough guidelines can be given here. 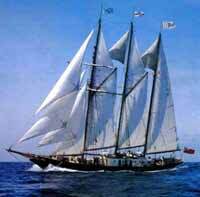 Typically a new motor sailer of 35 feet or more would cost £125,000 upwards. A second hand vessel of a similar size and maybe twenty years old could be purchased for £20,000 - £60,000. Remember that you need some where to moor it and to store it over winter! And then they get expensive!! The term yacht generally refers to either a large sailing vessel or an even larger powerboat - more like a ship than a boat! Basically you can spend what ever you want on one of these vessels - with no upper limit. Surprisingly there are quite a lot of large vessels for sale - some for as little as £250,000! We were particularly impressed by the Sir Winston Churchill, an ex- Sailing Training Association vessel which has participated in the Tall Ships Race - now on sale at Eastern Yachts. If you prefer something more modern a second hand Sunseeker built around 1995 can be yours for around £50,000. The cost of getting afloat depends entirely on what you are looking for - you can start out with a small dingy costing less than £1000 or you can go in at the deep end and splash out thousands of pounds for a large cabin cruiser or sailboat. A few will have the option to go for an out and out yacht that can traverse the worlds oceans with ease and considerable comfort. What ever your choice you will need some cash and the good news is that it is possible to raise finance on a boat. These are only rough guidelines - finance will depend on many things and in particular the type of vessel to be bought and your particular circumstances. You should get advice from a licensed credit broker before proceeding with a purchase. In general loans of up to £15,000 can be raised with no charge on the boat and with little or no deposit required - although this depends on each individual case. For larger purchases marine mortgages can be raised in a similar way to house purchases but with a charge placed on the vessel. Generally up to 80% of the purchase price maybe raised up to a level of around £750,000. For more expensive vessels you would need to talk to a specialist yacht broker or your rich Aunt Maud!